No review of Armenian language or literature is complete without considering the legacy of Armenian translators. If the fifth century is often described as the Golden Age of Armenian letters, it is largely due to the implementation of the Alphabet and the translation of the Bible into Armenian. Yet, these events obscures the tradition of translating that existed before these events and specially the output that followed the intellectual and cultural endeavors of 5th century. It is a fair assessment to state that the tradition of translating was an ongoing and uninterrupted process throughout the history of Armenian literary culture. In the 5th century, the massive enterprise of translating into Armenian was to meet the immediate needs of the nascent Armenian Church and to reinforce doctrinal and liturgical activities. The initial plan included the translation as well as editing the final version of the Bible from the original Aramaic texts as well as the first texts written in Greek. Afterwards, the efforts included liturgical works, patristic literature, commentaries, apologetics and ultimately encompassed a major part of the existing Christian knowledge --Biblica, liturgica, historica, etc. A second period of the development of Armenian translation included theoretical works that took precedence over religious texts--dogmatic and philosophical writings related to the needs of contemporary Armenian life and the desire to master the knowledge of ancient philosophers and scientists. During this period the Aphtonius’ Progymnastica, Theon of Alexandria’s Progymnaspata, additional writings of Plato and Aristotle and other works were translated into Armenian, although a significant number of these works were already known to Armenians in their original languages. Gradually, the efforts to identify and translate works of prominent scholars continued over the next millennium that included all areas of knowledge to medieval man--grammar, rhetoric, philosophy, natural science and theology. At the threshold of the modern era, the seventeenth and eighteenth centuries were dedicated to translating exclusively non-ecclesiastical material being developed in post-Renaissance Europe. The dominant position of the Armenians in the world trade contributed immensely to this cultural exchange, initiated at the beginning of the sixteenth century through the funding of printing and publishing centers in Venice (1512), Marseille or Amsterdam (1511) as well as Calcutta, Singapore and other hubs where Armenian diasporan communities existed. The legacy of these translators is only a reflection of the vitality of Armenian cultural and literary tradition that tried to keep pace with the new ideas, philosophies and discoveries. This tradition also contributed to the fact that made Armenians one of the first cultures in the East to be fully aware of the changes taking place in the world. Yet, these endeavors required a tremendous amount of dedication and sacrifices. Today, it is almost impossible to imagine a world with no dictionaries, printed books and the existence of a rich and easily accessible cultural heritage of the world. A multi-lingual dictionary or a printed book is a recent tool in the service of scholars. In fifth century Armenia, however, when translators encountered serious difficulties, such as complicated expressions in foreign texts that were too ambiguous or vague, their only means of overcoming the difficulty was to refer to living dictionaries--their peers, the Greek or Syriac Vartabeds--whose consultation was only available on site. Therefore, it is not surprising that in the fifth century, after Yeznig, Gorune or Ghevont; members of the first expedition, a second group of translators were dispatched, but to Alexandria, this time. Among the members of this group was Movses of Khoren, the father Armenian historiography and many others. We also know that members of both groups in addition to their linguistic talents, they also were learned scholars and experienced researchers who were educated in Constantinople, Athens, Antioch and other cities, and it is safe to assume that they pursued some of their translations in these cities. In addition to the challenges of traveling and learning, translators were also confronted by the need to forge corresponding Armenian terms for technical concepts and vocabulary. Beyond their contributions to the spread of classical learning in Armenia and to the development of medieval Armenian philosophy and science, translators also contributed immensely to the enrichment of the language and the creation of a scientific terminology for Armenian. Prefixes such as hag (anti), sdor (sub), mag (sur), pokh (re) and others, which are still very common in Modern Armenian, and even today comprise the building blocks of scientific terminology, were at first forged and employed by the translators. Yet, an objective evaluation of the work of ancient and medieval translators transcends the contributions they made to Armenian literary and cultural life. 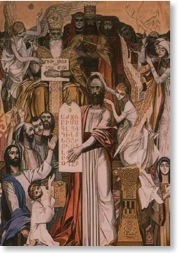 The work and the legacy of this cultural heritage is of great importance for the study of world civilization, since many works written in Greek or Syriac, whose originals are now lost, have been preserved in Armenian versions only and have become a part of the inheritance of contemporary civilization. the Macedonian, Seleucid, and Ptolemic dynasties, the Roman Empire and a number of other states and principalities. The Chronicon is of great value for modern scholarship not only as a source of knowledge about the fourth century, but also because it preserves excerpts from the works of a number of other renowned ancient writers, such as Berosus, Alexander Polyhistor, and others. In the 420’s, another work of Eusebius of Caesarea, the Ecclesiastical History, was also translated into Armenian at the request of Mesrob Mashdotz. This is of great scholarly value, since large sections are now missing from the original Syriac version. Another important work that survived through its Armenian version is The Demonstration of the Apostolic Teaching by Irenaeus of Lyons. A considerable part of the literary legacy of the renowned Jewish philosopher and theologian Philo of Alexandria has been preserved thanks to Armenian translations. 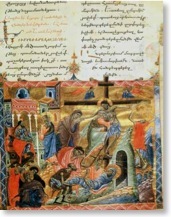 Much of the work of St. John Chrysostom is also known through its Armenian version. The Commentary on Job by Hesychius of Jerusalem, another important Byzantine exegetical work, is another preserved text. Armenian translations have helped to preserve the literary legacy of other renowned patristic writers, such as Athanasius of Alexandria, Severian of Gabala, Eusebius of Emessa, Ephrem Syrus and others. The above is only a partial enumeration and in no way a comprehensive catalogue or an inventory. Surprisingly, the possibility remains that other works are still unknown to scholarship and extant in not-yet-catalogued Armenian manuscripts that are scattered all over the world (as well as hidden Ottoman/Turkish archives, looted during the annihilation of the Armenians from their historical homeland) may still be discovered. Two recently discovered versions of works whose originals are no longer extant were published in 1957: a theological treatise attributed to Patriarch Eutyches of Constantinople and Faras the Syrian’s Care of Horses, a veterinary work. Also important to note that in addition to the salvation of works where the originals were lost, surviving translations are also important and are of great value for scholarly research. For example, at the beginning of the nineteenth century, Saint Martin compared the Armenian version of Aristotle’s and Plato’s works with the Greek, and reached the conclusion that the Armenian text, since it was translated with greater accuracy, “could be useful in the task of correcting the meaning of numerous sections in the texts of these philosophers”. Subsequently, the English Armenologist Frederick Connybeare demonstrated the veracity of that thesis, based on his analysis of Aristotle’s and Porphy’s texts. He took into account three qualities, characteristics of Armenian translations: (a) the antiquity of the texts that had reached us, (b) their accuracy and (c) their uncorrupted state. Obviously, one could also add that not only the works mentioned above, but also a large proportion of other Armenian translations fully possess these three characteristics. 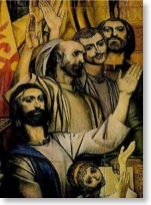 Since ancient times, the Armenian church has beatified the “translators”. To this day, the Armenian nation and the church celebrate this special holiday; designated as “Tarkmanchatz Don”--Translators Day-- in the month of October. Considering their contribution, it is not difficult to understand why.